&Before becoming a filmmaker, Francois Reichenbach (3rd July, 1921 – 2nd February 1993) was an accomplished songwriter who composed songs for performers such as Edith Piaf. 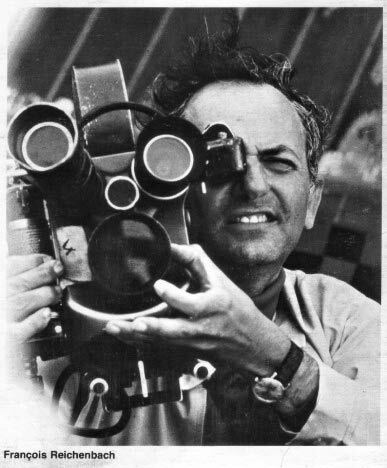 Encouraged by his cousin, the producer Pierre Braunberger, he turned to directing, becoming a prolific documentary-maker and leader of the cinéma vérité movement. His documentaries, which often focused on aspects of American life, are notable for their sharp observations and sense of humour. Among his best-known films are L’Amérique insolite (America As Seen by a Frenchman, 1960), the Oscar-winning Arthur Rubinstein: L’Amour de la Vie (Arthur Rubinstein: Love of Life, 1970), and F for Fake (1973) which he co-directed with Orson Welles.